Below is a directory of Identity and Access Management vendors, tools and software solutions including a company overview, links to social media and contact information for the Top 26 Identity Management providers. If you would like a printed version of this page including complete solutions profiles and a list of the top questions to ask in an RFP – Request for Proposal, click here for a Free PDF. With its flagship Avatier Identity Management Suite (AIMS), California-based solution provider Avatier offers a suite of independently-licensed IAM products focused on offering usability and quick time-to-value. Avatier’s most prominent strength is its unique approach which extends its IAM automation and selfservice capabilities beyond the traditional enterprise use-cases. Download this Directory and get our Free Identity & Access Management Buyer’s Guide. Avatier’s AIMS 10 solution is a strong choice for small to mid-sized businesses (SMBs) looking for a simple, manageable product with relatively easy, low effort maintenance demands and a focus on self-service capabilities. However, larger enterprises and SMBs have both found Avatier satisfactory to their identity security needs. With its cloud-based Identity-as-a-Service (IDaaS) solution, 2018 Google acquisition Bitium aims to give enterprise customers strong security capabilities including single sign-on, application management, and analytics tools, all without sacrificing ease-of-use. Bitium’s single sign-on application allows users to access over 1,000 cloud-based apps and lets administrators provision (and de-provision) users’ application access without the need for sharing passwords (which can create other vulnerabilities). Bitium makes a powerful point solution for organizations and enterprises looking for single sign-on and analytics capabilities for an workforce-to-web-application use case. It delivers an easy-to-use solution with flexibility and security, with an eye to mid-sized and enterprise-sized businesses. CA Technologies provides an end-to-end Identity Management portfolio with its Identity Suite, Secure Cloud IDaaS solution, Single Sign-On, Advanced Authentication and Privileged Access Management Capabilities. CA Technologies provides an integrated solution for provisioning and governance that manages user identities throughout their entire lifecycle. CA Technologies Identity Manager delivers a unified identity security solution for user provisioning and user management that is ideal for organizations and enterprises, especially SMBs, looking for a scalable solution for large, consumer-facing (CIAM) deployments. Reportedly, their platform is easy to deploy but can be more difficult to manage for organizations and enterprises without on-hand IT expertise. Crossmatch’s DigitalPersona Composite Authentication platform offers deep MFA capabilities including contextual (risk-based) and application-based authentication. It allows administrators to manage accounts, roles, and user access privileges with familiar Active Directory tools. Organizations can move away from passwords, and opt for an intuitive user-client interface that presents a range of authentication options for access. Crossmatch’s company mission statement is to move customers beyond passwords by presenting users with a range of more convenient (and secure) authentication options while simultaneously driving those options to end-users through context and policies. Specialized solutions for government, defense, and law enforcement make Crossmatch an attractive solution for both public sector users and mid-sized enterprises. Based out of Florida, Fischer International provides their IAM solution: Identity as a Service (IaaS), an enterprise-grade full-suite identity solution for either your private cloud or on-premise servers. Fischer Identity offers user provisioning for end-user full-life cycle management, access governance, self-service password management, SSO/Federation and five factor authentication to securely manage identities in complex corporate environments. Fischer’s full IAM suite capabilities will match the needs of SMBs and larger enterprises alike, especially those concerned with insider threats. Fischer’s authentication architecture should eliminate the need for customization, ideal for those looking to set their privileged access management controls without hassle. FusionAuth is a single-tenant CIAM solution for enterprise web and mobile applications. Built for developers, FusionAuth’s REST API is designed to scale from 1 to 1 billion users without creating complications in service. FusionAuth’s REST API installs on macOS, Linux, Windows and cloud servers with no differences in service or security quality. Their pre-built client libraries allow developers to quickly integrate the solution with popular programming languages, and their detailed documentation defines the methods and parameters available to enterprises. Well known for its security analytics, IBM entered the IDaaS market in 2014 with the purchase of Lighthouse Security Group. IBM has since established itself in the market with its Cloud Identity Service offering, a rebranding of Lighthouse’s IDaaS product. IBM’s Identity solutions are ideal for large organizations with global footprints. IBM is one of the most recognized cybersecurity solution providers currently in the market, with some of the most comprehensive and talented identity security research teams in the industry. Idaptive delivers their Next-Gen Access solution, designed to protect enterprises from data breaches through a zero-trust approach. Idaptive secures access to applications and endpoints by verifying every user, validating their devices, and intelligently limiting their access. Organizations may consider approaching Zero Trust by implementing SSO, MFA, EMM, and UBA from separate vendors. However, disparate solutions create security and performance gaps, and are difficult to integrate and maintain. Idaptive is better equipped to enable a zero-trust approach to security, with advanced capabilities that intelligently determine the authenticity of a digital user and their device; their solution governs access across an enterprise’s resources and reacts when risky behavior is detected. Texas-based Identity Automation’s signature RapidIdentity product supports identity governance and administration capabilities, automated provisioning, access and account management in both on-premises and asa- service deployments. The solution also boasts secure single sign-on access to nearly any enterprise system, multifactor authentication across all applications and databases, and time-based access expiration. Identity Automation’s RapidIdentity is a smart choice for organizations and enterprises of all sizes looking to replace legacy identity and access management solutions and home-grown tools with a new next-generation system. Rapid Identity can be deployed in a matter of weeks, rather than months or years. 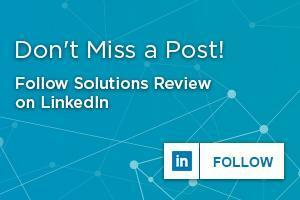 Identity Automation offers a broad set of out-of-the-box and configurable capabilities. 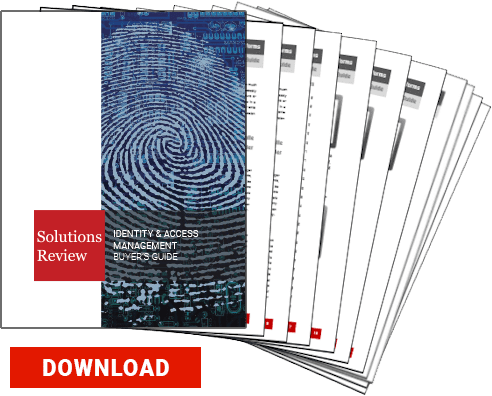 Easily the biggest name brand in this 2019 Identity and Access Management Buyer’s Guide, Microsoft only made its first foray into the IDaaS market relatively recently with the 2014 release of its Azure Active Directory (AAD) Premium service. Since then, the hardware and software technology giant has already made a large impact on the identity security market. Microsoft makes a strong choice for enterprise customers deeply familiar with Microsoft’s ecosystem, or who already use Microsoft’s Azure cloud PaaS service. It will also suit those who are looking for basic identity management capabilities. Based out of Texas and owned by Micro Focus, NetIQ provides a highly scalable identity and access management suite. This suite is offered with several optional add- ons, such as Access Review—an identity governance add-on—and the NetIQ Access Governance Suite (AGS). NetIQ is a robust yet affordable identity governance and administration-focused solution with a large network of channel partners, ideal for small to mid-sized businesses. Micro Focus purchased HPE and its Arcsight security solution in 2017. Okta’s Identity-as-a-Service (IDaaS) offering boasts one of the fastest-growing customer bases in the market and the funding to match. The Okta Identity Management Service provides centralized directory services, single sign-on, strong authentication, provisioning, workflow, and reporting, all delivered as a multitenant IDaaS with some components operating on-premise. Okta’s lightweight, multi-tenant delivery model is highly scalable, and therefore ideal for organizations with simple identity administration and provisioning capabilities. Their new data centers make the company an ideal IDaaS solution for small to mid-sized businesses on either side of the Atlantic. Omada’s Solution Directory should read: The Omada Identity Suite (OIS) provides an enterprise platform for identity management and identity governance that is available either by component or as a comprehensive system. OIS features a flexible data model, excellent dashboards and powerful reporting capabilities, including closed loop reporting. User-facing elements of all identity lifecycle scenarios support a flexible data model for user entitlements. Omada also offers specific provisioning services and industry-tailored solutions for several verticals including Banking and Finance, Life-Sciences, Manufacturing, Public, Utilities, and Retail. One Identity offers solutions with a modular and integrated approach to user account management that provides rapid time-to-value. One Identity does this by offering comprehensive functionality that allows customers to build on their existing security investments. One Identity’s strong out-of-box governance capabilities make the solution an ideal fit for organizations looking for a strong governance solution with good SAP integration and DAG integration. Its focus has historically been narrowly IAM rather than on wider security offerings, so hybrid systems might be necessary. California-based OneLogin provides on-demand IDaaS solutions consisting of single sign-on, multi-factor authentication, directory integration, user provisioning capabilities. They also include a catalog of pre-integrated applications. OneLogin makes an excellent IDaaS solution for organizations of any size looking for powerful SSO, directory, and MFA capabilities. Their support is highly user focused, and it deploys well with only minimal adjustments. Initially founded in 2005 as a consulting company, the Florida-based Optimal IdM has since evolved into a global provider of affordable identity and access management solutions. The privately held company offers both on-premise solutions, such as its Virtual Identity Server and Federation and Identity Services, and cloud hosted solutions such as OptimalCloud. Optimal IdM’s customization, scalability, and affordable monthly payment plans make it an ideal solution for growing SMBs or enterprises looking to expand their national or global footprint. They offer a flat fee pricing model for services, which will be a blessing for the budget-conscious business. The Oracle Identity Governance (OIG) Suite is an integrated identity suite that centralizes security for enterprises’ applications and web services, and provides a single point of contact for support under a single license contract. OIG suite is marketed for large enterprise customers with global footprints. Oracle’s modular Identity Governance solution is well suited for large organizations with complex IGA needs, including industry compliance needs. Oracle products come highly recommended for those already running a portfolio of Oracle products, but those new to Oracle will find a strong solution regardless. Ping Identity is the leader in Identity Defined Security for the borderless enterprise, allowing the right people to access the right things, securely and seamlessly. More than half of the Fortune 100, including Boeing, Cisco, GE, Kraft Foods and Walgreens, trust Ping Identity to accelerate their move to the cloud, deliver a rich customer experience and quickly onboard partners as part of their digital transformation. Ping Identity’s solution is ideal for organizations looking for a scalable identity and access management solution capable of supporting multiple employee, customer and partner identity use cases on premises and in the cloud. Ping’s market emphasis is on large enterprises, and they have the services and support staff to make good on that interest. A provider of federated identity systems based on virtualization, Radiant Logic delivers standards-based access to all identities within an organization.Their solution, the RadiantOne FID federated identity and directory service, enables customizable identity views built from disparate data silos—along with scalable sync and storage—to drive critical authentication, authorization, and provisioning decisions for web access management, federation, cloud, and cloud directory deployments. RadiantOne FID integrates and orchestrates identity across multiple systems and targets, allowing large enterprises to get more from existing investments while making the most of new investments and opportunities. By consolidating AD domains and forests into a common directory to provisioning to cloud directories, RadiantOne allows for rapid responses to new demands such as onboarding new apps, integrating a newly merged or acquired company, or scaling to hundreds of millions of users and queries. Still operating under the Dell umbrella, RSA offers both IDaaS and traditional identity management and identity governance and administration solutions. RSA Identity Management and Governance (RSA IMG) is a highly scalable identity management suite built from separately licensed components. RSA’s strong suite of independently licensed identity governance and administration modules makes the vendor a good fit for companies of all sizes looking for IGA solutions. RSA was recognized in 2018 as a Strong Performer in Identity Governance by Forrester, and they were chosen as a leader in IGA by KuppingerCole. SailPoint offers both traditional Identity Management with its IdentityIQ solution as well as IdentityNow, a multi-tenant Identity-as-a-Service (IDaaS) solution. IdentityIQ is offered as a stand-alone, on-premises product with several optional add-ons. SailPoint’s Identity IQ is well-regarded for its strong identity governance capabilities and provisioning capabilities. SailPoint’s background as an innovator in identity access and governance makes the company an ideal fit for large organizations seeking comprehensive IGA capabilities. Their product is considered comprehensive and effective. It also scales well for complex enterprise deployments. Salesforce is primarily designed and marketed as a customer relationship management platform, focused on sales, service, and marketing efficiency and strategy. They entered the Identity and Access Management market in 2013 with the release of Salesforce Identity, an IDaaS solution that is both offered as an independent service and as part of Salesforce’s cloud Platform-as-a-Service (PaaS) solution offering. Salesforce’s IDaaS solution is available as an independent service. The solution is best suited for organizations that are operating in customer service and retail industries such as in a CIAM context. This is where Salesforce’s market share is most prominent. Solutions provided by Saviynt enables enterprises to secure applications, data, and corporate infrastructure in a single cloud or on-premise platform. They approach identity governance and administration holistically, moving beyond core Identity Governance to cloud security, application GRC, and access governance—all within a complete cloud-based solution. Enterprise customers praise the capability and the prowess of the Saviynt solution and remark on the ease of deployment. Saviynt has strong strategic partnerships with Microsoft, Okta, and Ping Identity which speaks to their extensive integration versatility. Since merging with Core Security in 2018, SecureAuth has supplemented their multifactor authentication use cases with more identity governance and access management capabilities. SecureAuth offers specific industry solutions for healthcare, energy, and retail. Core Security and SecureAuth were both highly recognized in the identity security marketplace before their 2018 merger was made official. Now that they have completed their merger, SecureAuth has worked to solidify their market share as one of the largest solutions providers. Atlanta-based Simeio Solutions offers a variety of IAM solutions as both dedicated cloud hosting or on-premise managed services, including the only fully managed IDaaS offering featured in this 2019 Identity and Access Management Buyer’s Guide. Simeio offers IDaaS to clients who want consumer IAM and/or CIAM capabilities as a service via on-premise, hosted on cloud or hybrid with a private cloud option available. Simeio’s managed service offerings are recommended for enterprises looking to shift the heavy Identity and Access Management workload burden from their IT or security departments. Their managed services are competitively priced and offer a single point of contact for deployment and support, which will be a boon for those looking for comprehensive Identity and Access Management on a budget. Ubisecure is a European technology provider specializing in high scale customer IAM (CIAM) use-cases. Their Identity Platform is designed to enhance an enterprise’s customer-facing applications by providing a high-quality experience to increase customer capture, conversion, and engagement. Identity Platform is a strong choice for enterprises looking for a scalable IAM and CIAM platform to enhance their customer experience and to meet major compliance requirements like GDPR. They are mainly focused on the European marketplace, and therefore North American companies should investigate whether Ubisecure would meet their specific market needs before making their selection. A well-regarded player in the IAM field for nearly two decades, Tools4Ever develops and provides standardized and affordable Identity Governance & Administration (IGA) solutions that can be implemented within a few weeks and are easily managed afterwards. Tools4ever’s software suite includes access management, password management, authorization management, and AD and NTFS auditing tools and capabilities. Tools4ever’s quick deployment and consultant-assisted implementation options offer fast results and ROI. This makes the solution providers’ tools a good choice for both small to large-sized companies and enterprises looking to invest in IGA without the perceived headaches.